Just wanted to know if my PC is good enough. I wanted to ask if my PC is good enough for Games like Super Mario Galaxy 1/2, Zelda Skyward Sword, Super Mario Sunshine and Zelda Wind Waker. Also will i be able to play in Full HD ? Yes. You should be able to play these games fullspeed most of the time. 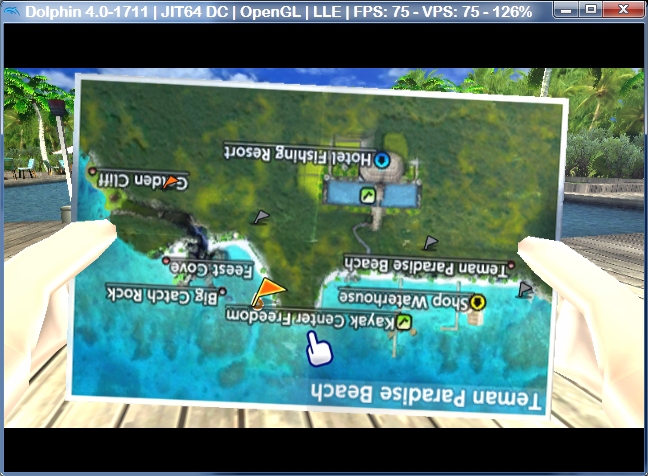 As for your GPU, the HD7xxx GPU series from AMD seems to suffer with performance issues in Dolphin. Technically you should be able to ace an Internal Resolution of x4 (beyond Full HD) easily with some AA if you want. You should monitor your GPU usage and clocks with GPU-Z and check if it exits its idle-state when you play your games in Dolphin. The idle-state problem is fixed by setting texcache accuracy to Safe, according to Linkinworm on the IRC. That does fix it but that's a really bad fix to use since setting the texture cache accuracy that high will significantly diminish performance in many games. It doesn't have to be all the way to safe iirc, it just can't be all the way fast. But then again, it's been a while since I read the post on that so idk. (09-10-2012, 04:30 AM)NaturalViolence Wrote: That does fix it but that's a really bad fix to use since setting the texture cache accuracy that high will significantly diminish performance in many games. Nah, an overclocked Core i5-3570k should be able to handle this very well. Can someone confirm this? Try to read more carefully next time. This is a gpu issue. Your gpu will perform extremely poorly at idle clock rates.